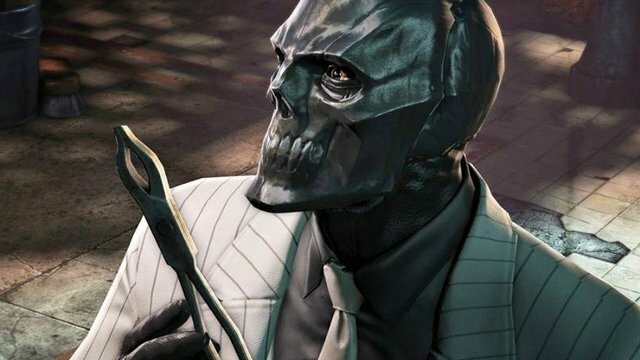 Will Black Mask Be The Main Villain Of The Batman Instead Of Deathstroke? Lots of interesting developments going on in the DC Extended Universe this weekend, with a leaked report on Reddit sending fanboys into a frenzy over the future of their favorite characters. One of the most intriguing things to come out of the leak was that apparently, Deathstroke will no longer be the main villain of The Batman. Don’t worry, he’ll still show up in some capacity, but the lead antagonist might be someone else, as director Matt Reeves aims to make a larger scale film, one which will feature many of the Bat’s fiercest foes. Of course, that hasn’t been confirmed by Warner Bros. just yet, but what’s interesting is that it lines up pretty perfectly with a leaked plot summary that surfaced back in the summer. If you recall, the synopsis pointed to Black Mask being the main villain, with Deathstroke still being involved along with numerous other bad guys. If this latest Reddit leak is true, then it would seem that perhaps Warner Bros. has gone back to that version of the film. Or at least, they may be using elements from it. In case you don’t remember what exactly the plot summary detailed, here’s what it said about The Batman. Spoilers will be found throughout, so read on at your own risk (thanks to Screen Geek for the find). Current plot has Black Mask as the main villain breaking other villains out of Arkham to kill Batman. Joker and Harley have a subplot involving a bomb to blow up all the inmates once Batman recaptures them all that results in Harley leaving the Joker because of the abuse and Batman trying to rehabilitate her. Deathstroke is sent in by Waller to help contain the situation so she can use them for her own means but Batman fights Deathstroke and promises Waller that he’s coming for her next. Deadshot is also in it but leaves the Asylum to be with his daughter instead of getting his revenge on Batman. There’s a really cool scene where Black Mask lines all the villains up and asks who will join him to get revenge (this scene will focus a lot on Deadshot’s reactions, making it clear he wants only freedom). Many of the villains get away in the end, with Batman promising to hunt them all down. The film will end with Batman overlooking Gotham and seeing one of the B-List villains (has yet to be decided) committing a crime. Lending even more credence to this being the plot of the film are two things that we’d like to bring to your attention….